Last week saw the 2012 edition of the Anime Expo, an annual showcase in LA that brings together fans of anime, video games, manga and all kinds of related stuff for four days of panels, merch, socialising and cosplay. 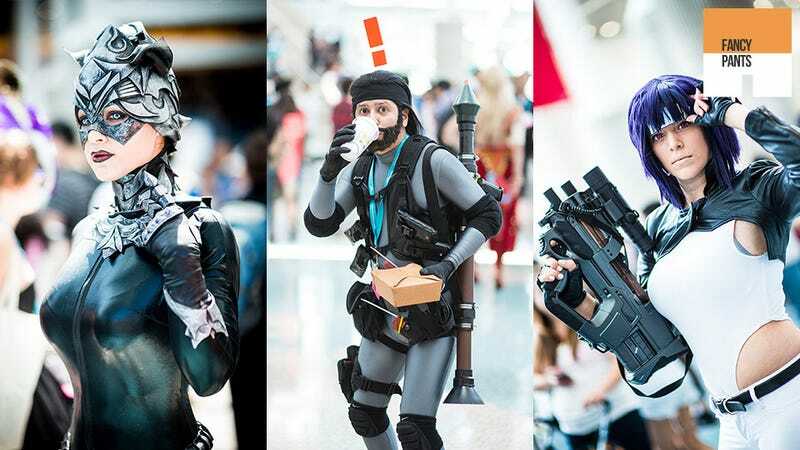 Which brings us neatly to this week's Fancy Pants cosplay gallery. Photographer Mike Kowalek was there with his camera to take some amazing cosplay pics, which he was kind enough to share with us. You can see some highlights below, but to check out his entire collection, be sure to head to his site's AX 2012 gallery. WARNING: There are Viewtiful Joe, Porco Rosso, Star Fox and Labyrinth images below that may blow your socks off.